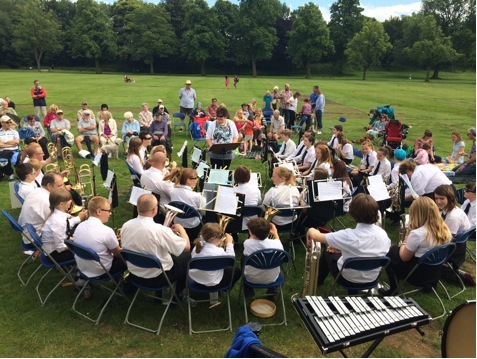 The Junior Band were again invited to play at Abbey Park this year before going on to play in the organisation’s Summer concert later that evening. They played for an hour going through a variety of pieces, some old favourites (Dr Who) along with newer pieces still being progressed (Frozen). The weather just about held out with rain falling only once – but the band played on and it didn’t last. We received many compliments after the performance from the audience and passersby who simply stopped to listen. After the concert, we had Pizza’s delivered, followed by games before heading off to meet up with the rest of the band. 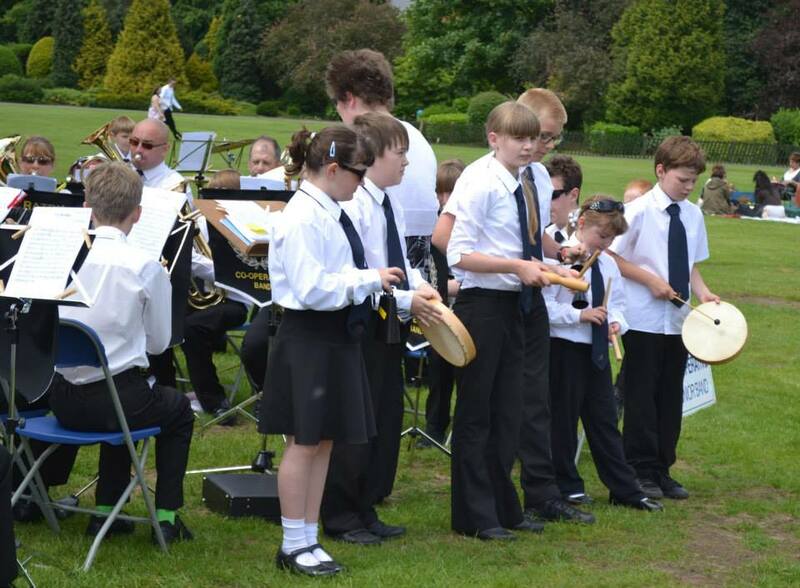 Well done all – great afternoon!